I’m going to talk tech-geek for a bit which should be interesting. Time-Vortex Tunneling is a tricky subject. I am a writer and not a scientist and I briefly considered having one of the others write an article for me on the subject. I stopped considering this when I saw her writing. How someone with a Dual-PhD in Astrophysics and Zero-G engineering can write so poorly, I will never know but she manages with flying colors. That said, I’ll do my best to explain. Several decades ago, Scientists proved that Einstein’s Theory of Relativity was wrong. He assumed that speed and time in Space is constant but it’s not. If they were, there is no way the Universe could have expanded to its current size in the time it’s been around. Time-Vortexes are pathways through space that operate at a higher speed than the rest of the universe. They exist all over the place and about twenty years ago, we developed technology to find and track them. They are essentially tunnels through Space where one might travel near the speed of light. Some scientists believe that there are tunnels in the far reaches of the galaxy that travel beyond the speed of light. Please put on your flashers when passing, thank you. Assuming the calculations are correct and we will reach near the speed of light, reaching Alpha Centauri will take nearly five years. 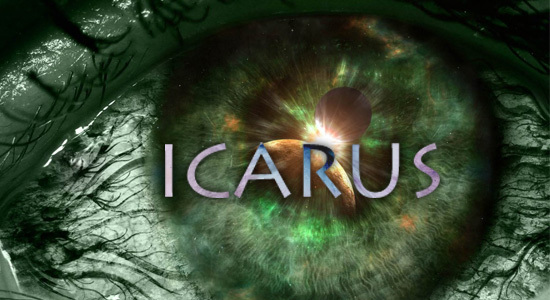 Project Icarus is a huge risk but a very exciting one. The funding needed for the vessel itself is enormous, more than [DELETED]. Is this all in the name of science or is it more in the claim? The Chinese have developed a drive that can travel nearly half the speed of light, something the North American Alliance can’t at this time. We are in a Space Race, that much is certain, but with the Alliance still recovering from the Collapse, how much can we really afford to sink into such a venture? For now I won’t worry about it. The Can does odd things to your senses and judgment and I am definitely not looking forward to being in it for long jumps. My natural paranoid nature is making me see things I’m probably not. Anyway, now that our tests are complete and the crew finalized, we are going out for drinks and then heading to Doctor [DELETED]’s home for something he calls the “Uranus” brew. Obvious jokes aside, we’ve heard he’s a master at drunken revelry and despite my discomfort with these people, I’m going. I have to spend a decade with them, and you know what they say about drinking companions. This entry was posted in Icarus, Original Fiction, Science Fiction and tagged Alpha Centauri, blog fiction, experimental, genetic, goop, Icarus, Luna Station, Michael Lee, NASA, Pluto, Project, Science Fiction, Time-Vortex, Tunnel, Vortex-Entry couches. Bookmark the permalink. Coming soon to a blog near you. 36 Hours is up again!